In the first half of 2019 The In[heir]itance Project will be collaborating with The Museum of Jewish Heritage to create a new piece of theatre based on the sacred text of testimonials from GIs in WWII. 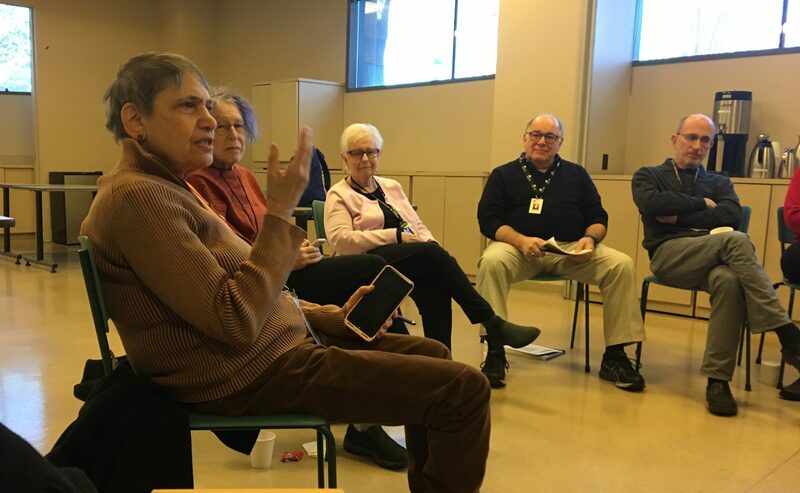 We had the first event of this partnership earlier this month, to invite folks join us in exploring explore themes and ideas that were coming up from those video testimonies. Artist and IP Directing Intern, Caterina Nonis, joined us for the conversation that morning and reflected on her experience for our blog this week. and a military man gathered at the Museum of Jewish Heritage. we all knew what it felt like to be unprepared. and still shape our identity. We cannot separate ourselves from our past. history that affects us all. together to deal with it might be one of our most powerful weapons. -Caterina Nonis was first introduced to the In[heir]itance Project through the Genesis Plays Festival at the 14th St Y last year and now we are lucky enough to have her on our team as the Directing Intern!